NewChallenges | IKBZ Insurance Co., Ltd.
" IKBZ Insurance Co., Ltd. is dedicated to providing insurance products that provide quality process with value pricing. We wish to establish a successful partnershipwith our clients, our staff members, and companies in industries that respect the interests and goals of each party. " " Providing effective services for everyone, standing as a Leading Insurance Company and contributing towards strengthening the economic growth of the country. " Any Ownership is never without Risks. We are proud to say that IKBZ willingly and responsibly takes care of all of your risks in safeguarding your Ownership. The KBZ Group of Companies has a long history of business establishment since 1995. It all started with rubies, jade and precious metal mining under the name of Shan Yoma, Nilar Yoma and Jain-Phaw-Aung rubies, jade and precious metal mining companies. Most of the precious metal mines are lo¬ cated in Mineshu, Mogoke, Phakhant, and Kanti townships in the eastern and northern reaches of the country. The legally earned monetary assets were then invested in what is now publicly known as Kanbawza Bank. Moreover, there are many other diversified businesses under our group. 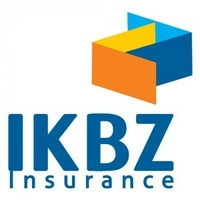 The official name of the Company is designated as IKBZ Insurance Company. It is a sister concern of the Kanbawza Group of Companies catering solely for their insurance business. The IKBZ Insurance Company is established under the umbrella of the KBZ Group of Companies. With the broad nature of economic reforms in Myanmar since 2011, the insurance sector has opened its arms to the private sector for effective participation and involvement. The Myan¬ mar government initiated its first acceptance of applications for establishment of private insurance companies in June, 2012. Along with the formal application, the IKBZ Insurance Co. was granted to start operating in September, 2012. IKBZ Insurance Co. became the first private insurance company to exist in Myanmar on the 12th September,2012. The paid-up capital is (46) billion Kyats which is equivalent to (55) million USD.